The Advanced Structures and Composites Center is currently undergoing a significant expansion in the development of two new laboratories. The first is the Wind and Wave Lab, known as “W2” and the second is the Advanced Automated Structural Thermoplastics Lab. The expansion of these laboratories brings total facility size to 100,000 sq. ft.
Sunil Bhandari, a graduate student from Pokhara, Nepal, is pursuing MS in Civil Engineering from the University of Maine and conducting research at the UMaine Composites Center. 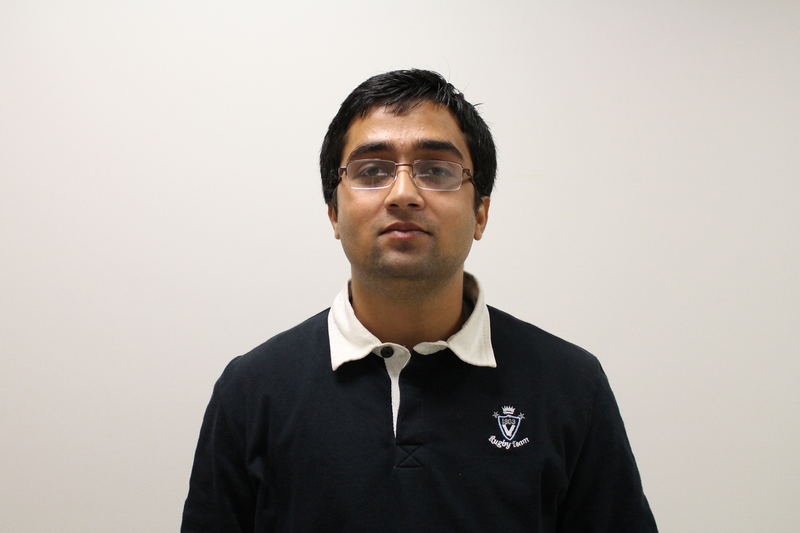 Bhandari began working at the UMaine Composites Center in September of 2014. “When I applied for UMaine, I looked at the research that was being done here. I contacted Dr. Roberto Lopez-Anido and asked him if he would be my advisor. It was through him that I was offered this opportunity,” Bhandari said. After being hired, Bhandari realized how special the center is for researchers. Bhandari is working with Dr. Roberto Lopez-Anido and David Erb to get equipment for the Advanced Automated Structural Thermoplastic lab, as well as writing grants to acquire funds to purchase equipment needed for the lab to be successful. “I look for equipment and present it to Dr. Lopez-Anido and the Senior Research and Development Program Manager, David Erb. They’re leading efforts to develop the Advanced Automated Structural Thermoplastic lab and a new plastics industry consortium building effort being funded by the National Institutes of Standards and Technology called the Consortium for Manufacturing Innovation in Structural Thermoplastics (CMIST). Occasionally they will give me a portion of a grant to work on as new information comes in,” Bhandari said. Bhandari also wrote a portion of the technical section of the grant proposal for CMIST, as well as working on 3D modeling and testing of 3D printed materials. He is also working on incorporating thermoplastic composites into structures, combining his civil engineering background with these novel material technology concepts. Bhandari says the center is the place to learn and prepare him for his future.